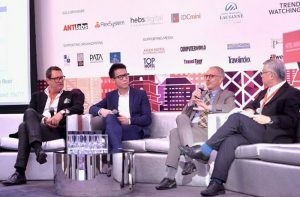 Hong Kong (Hong Kong SAR) – September 18, 2017 (travelindex.com) – The Hotel Management Asia Summit and Hotel Technology Conference 2017, presented by Hotel Management and Questex Hospitality Group, concluded on 7 Sep 2017 after welcoming over 25 international speakers and over 100 delegates at The Mira Hong Kong. The leading conference in Greater China that directly addresses all operational/management challenges, the Hotel Management Asia Summit provides a platform for hotel executives from both corporate level and property level to discuss key operational, branding and financial issues directly impacting corporate and property P&L.CEO, COO, CFO, VPs, GMs, Financial Controllers, and executive committee members will gather to strategize and debate on essential topics including brand equity, cash-flow management, cost control, innovation, and staff retention and development. Industry leaders will share their best practices and recommendations with their peers.